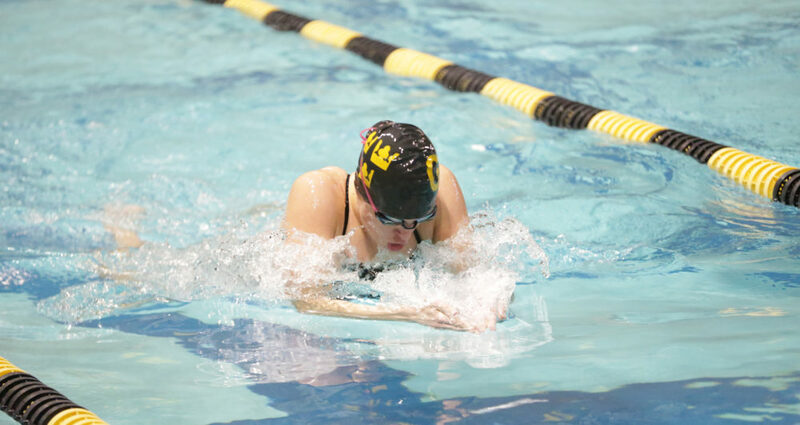 WINONA and ST. PAUL, Minn. – The Gustavus women’s swimming and diving team competed as a split squad Saturday and won both meets at Hamline and Saint Mary’s. The Gusties defeated Hamline 180-55, Saint Mary’s 124-107, and Iowa Lakes 121-71 to open the 2017-18 season. “It was a great day as we were able to compete against a pair of conference teams and have some success as well,” Head Coach Jon Carlson said. The Gusties host UW-Stevens Point and MSU-Mankato next Saturday at 1 p.m.